Inspired by Shakespeare’s Coriolanus, I Am England offers a unique perspective on political power, authoritarianism and social justice from the Brexit generation whose stories are yet to be written. LAIT is a practical skills-building course run from Leeds Grand Theatre for 18-25 year olds who are serious about an acting career. LAIT is designed to develop participating young artists vocally, physically and imaginatively and encourages an independent and in-depth approach to the work. 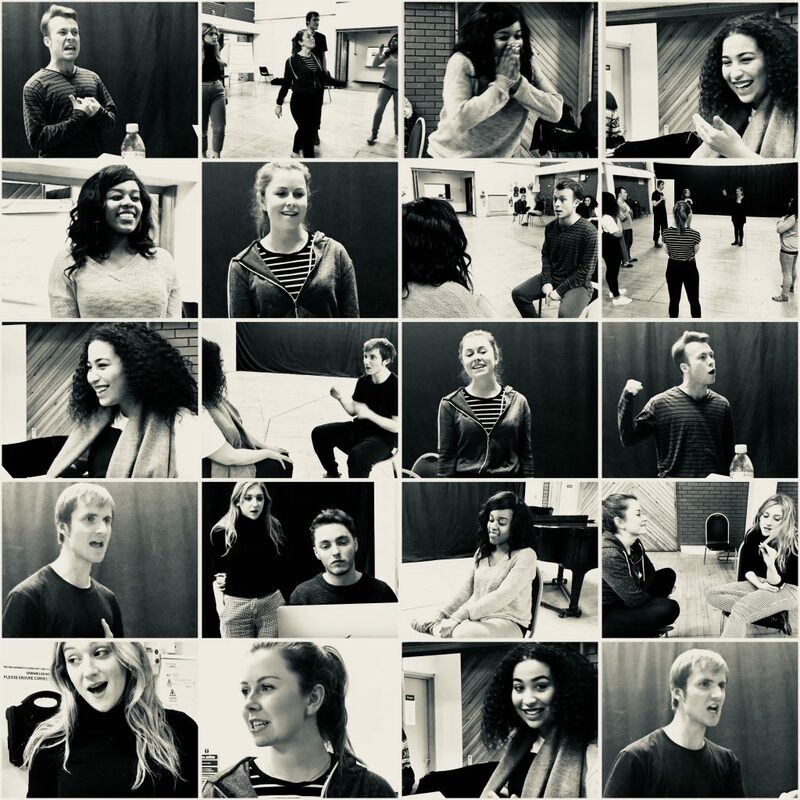 LAIT is unique in Leeds as it gives 18 – 25 year olds the opportunity to access actor training of the highest quality under the guidance of theatre professionals also working in the industry. 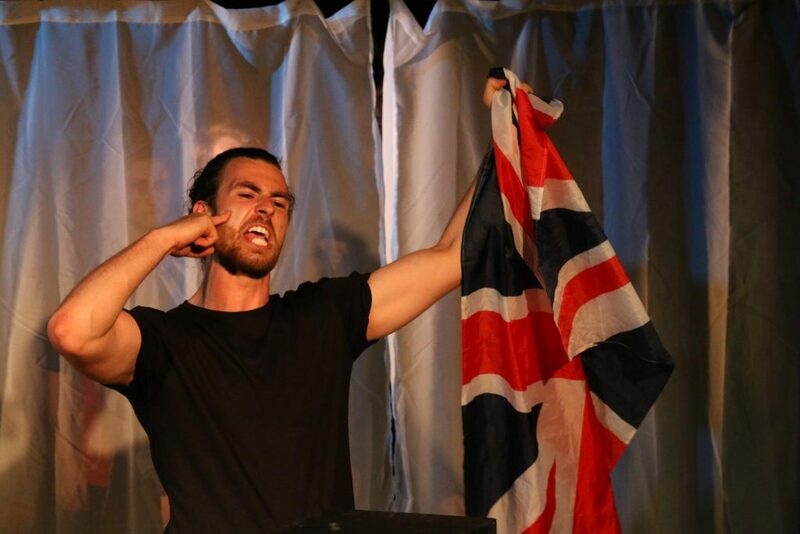 For some years now I have wanted to provide meaningful actor training to young adults between school/youth theatre and FE/the workplace, to help them develop their skills to the highest standard, recognise what sort of artist they want to be, build confidence and audition skills and cement their self-worth. Passion and a good publicity photo will only get you so far in this industry. In my experience, to truly succeed, an actor must be skilled and committed with a strong grip on reality. A thick skin, good work ethic, generosity, imagination, tenacity and an interest in human behaviour are also vital. At LAIT, we provide a supportive space to help aspiring actors move to the next phase of their training/professional life with confidence and their eyes wide open. LAIT helps you discover more about yourself and learn important theatre skills in the meantime. There are so many skills in this course that I can easily apply to my roles in training at College, and acting jobs in the future. For example, stretching to calm my nerves and Laban to embody and develop character. David. What I’m enjoying is that LAIT is a less pressured, more fun way of learning about the trade. There are no exams and we get to focus on ourselves as artists. Sophie. Term 1 will have 2 strands and the session will be split each week. 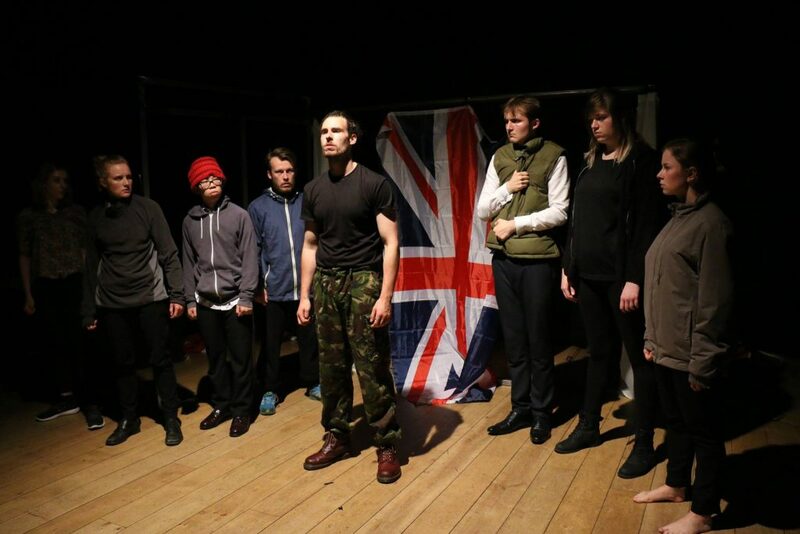 You will work in depth on voice training, physicality, character work, improvisation and scene work. You will have regular sessions with the Artistic Director plus a number of Masterclasses with visiting professionals. 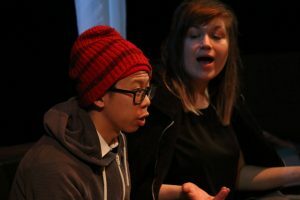 Working on monologues and songs, you will have the opportunity to present to both your peer group and a dummy audition panel made up of industry professionals (final session this term) who will be ready with advice and feedback to help you recognise your own strengths and challenges as a performer. A rehearsal project contextualising and further developing the skills developed in Term 1 culminating in a public sharing event in a professional venue.